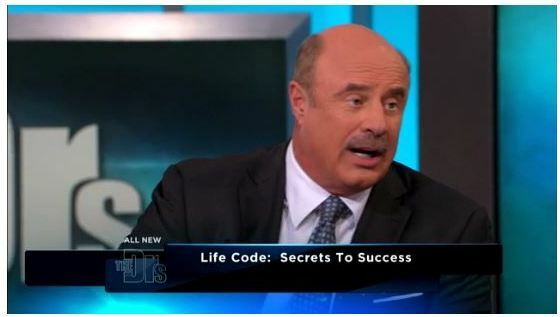 Dr. Phil McGraw shares part of his formula for success with “The Sweet 16,” featured in his new book, Life Code: The New Rules for Winning in the Real World. 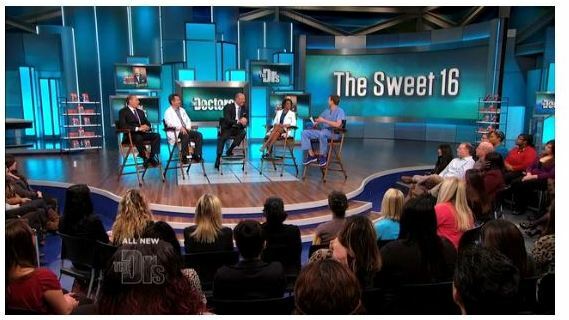 He makes the point in the promo piece on The Doctors television show that success requires living authentically through these 16 rules. I’ve created a matrix of these Sweet 16 with critical soft skills for success that we introduce and coach on in the Career Coaching for Students program. These are skills that are aligned with and critical to teens and college students creating a successful launch from child to adult and being over-the-top happy in career and life. The two lists are independent of each other. For college students, the heat is high enough to hold their attention on this subject – if it is offered as part of a college freshman seminar or provided proactively by the family as part of a personal career coaching program. For high school students, the ability to internalize these 16 life rules in order to leverage the opportunity to explore and plan for a career that is ideal for them is a tough challenge. However, some students are doing this and reaping the rewards in a big way. Dr. Phil’s Sweet 16 and the Life Skills for Students offered in the Career Coaching for Students program are both critically relevant for those wanting to experience success in life and work. The first column displays Dr. Phil’s Sweet 16 Rules. We’ve listed 16 “Life Skills for Students” that are key to success. Each of Dr. Phil’s rules align nicely to our Life Skills for Students content. 1 Have a defined “image” and never go out of character. Effectively communicating, building rapport and relating well to all kinds of people requires knowing yourself. 2 Create a perception of uniqueness. Adopting traditional or devising new approaches, concepts, methods, modes, designs, processes, technologies and/or systems helps to distinguish you. 3 Play “big,” not just long. The capacity to think ahead in order to realistically evaluate the consequences of current actions, processes and decisions shows you are thinking big. 4 Learn to claim and accept praise, and acknowledge it in a gracious way, but do accept it. Utilizing effective processes to make decisions will be one of the biggest generators of praise. The compelling desire to get into the flow of work in order to accomplish the vision and complete the goal makes you essential. 6 Know your real currency. The ability to prioritize and complete tasks in order to deliver desired outcomes within allotted time frames is valued like gold by your employer/boss but will also help you create self-worth. Also see Goal Orientation below. 7 Always, always have a plan. Utilizing logical, systematic and orderly work procedures to meet objectives. The capacity to concentrate one’s full attention on the project or goal at hand, regardless of distractions or difficulties gives enables your mind to discipline itself. 9 Always be in investigatory mode. Check this module out by clicking on the link. Taking initiative in learning and implementing new concepts, technologies and/or methods. Let others be part of the source of your learning. The ability to readily modify, respond to and integrate change with minimal personal resistance. 11 Always keep your options open. Energetically focus your efforts on meeting your personal goals. Create a personal mission statement. Having a longer-term vision for yourself makes seeing the value of different options easier. 12 Always master the system and figure a way to make it work for you. The ability to identify key components of the problem, possible solutions and the action plan to obtain the desired result. 13 Create a passionate nucleus of supporters. The capacity to steadily pursue any project or goal that a person is committed to in spite of difficulty, opposition or discouragement. Distance yourself emotionally from those that are naysayers to your goals. 14 Deal only with the truth. The capacity to take responsibility for one’s own actions, conduct, obligations and decisions without excuses. Everyone makes mistakes, everyone fails at some point. Some believe failing is the best way to learn – as long as you try again. Don’t fear owning your mistakes with others. 15 Recognize and use the ego and greed of others to create a path to success. Imagining, envisioning, projecting and/or predicting what has not been realized yet. Others’ egos are not relevant to your long-term goals but may be valuable for your current situation. 16 Pick your battles and never let your opponent have control. The capacity to influentially present one’s positions, opinions, feelings or views to others in such a way that they will listen and adopt the same view. Knowing others better than they know themselves puts you in control. This entry was posted in Career Exploration and Career Coaching, Managing My Career, student career counseling, Student Career Exploration, Teen Career Exploration and tagged Career Coaching for Students™, career exploration program for students, Student Career Assessments, student soft skills, teen impact, teen self esteem. Bookmark the permalink. Another option is to go with the Career Coaching for Students Home Study personal edition for each of your kids. Life Skills for Students is included as part of the program. For more information about the high school program go here. There is a 10 percent discount that is applied for quantity purchases of 2 or more students. How can we apply these to our lives? How can we practice these on a daily basis? How can we put verbs into this list?